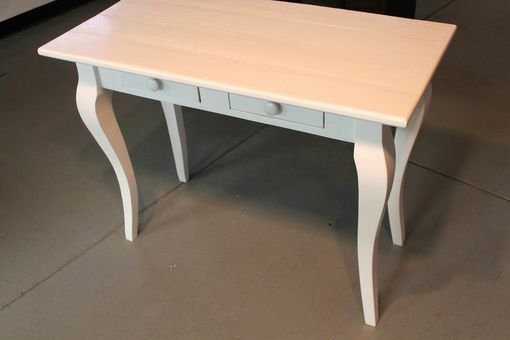 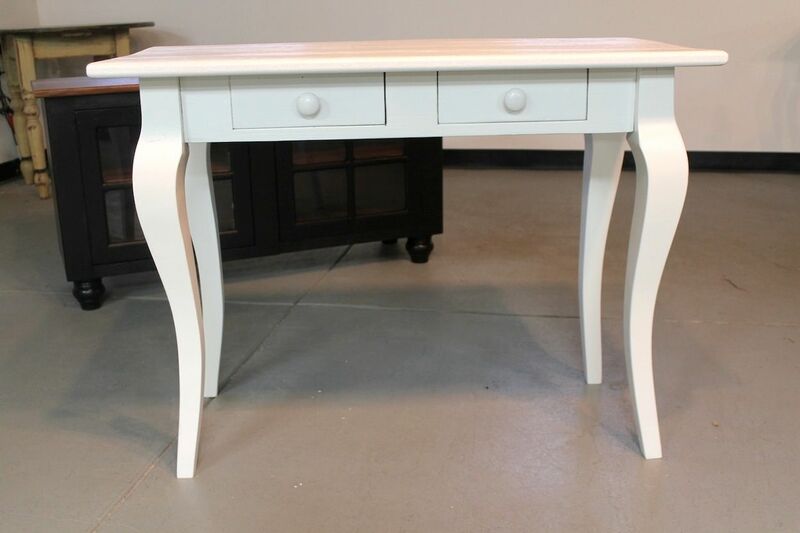 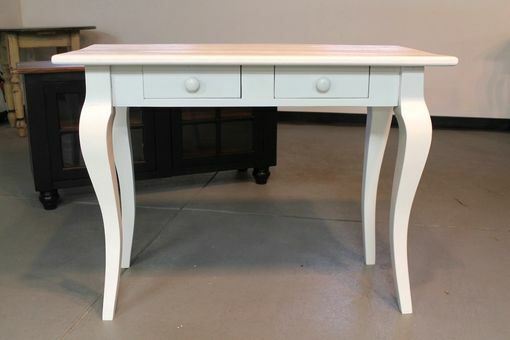 Small white wood desk in white wash finish. 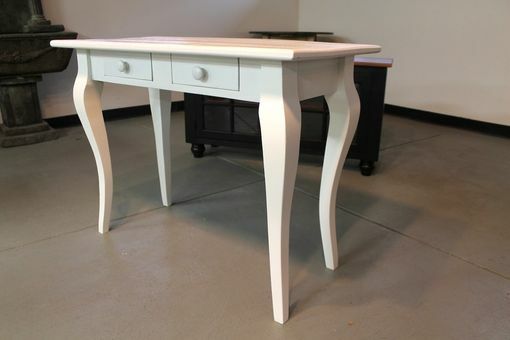 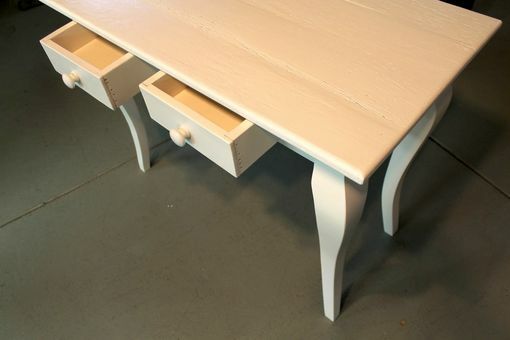 his farmhouse desk from reclaimed wood certainly fits the bill with its robust construction, its elegant white finish and its delightfully turned out legs. 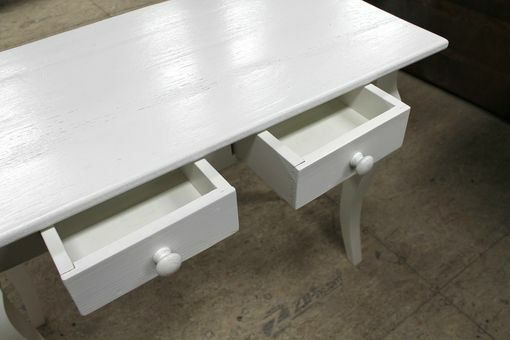 With two drawers to add to its practicality and its ability to be placed anywhere within the home, this elegant piece is as functional as it is attractive.